Bishop Timothy Omotayo Olufosoye was the first Archbishop and Primate of the Church of Nigeria (Anglican Communion). His date of birth was not recorded but he was believed to be between 75 and 80 years of age at the time of his death. The name Olufosoye means “the great chief expands” and was the name given to Timothy’s grandfather who had forty-five wives. 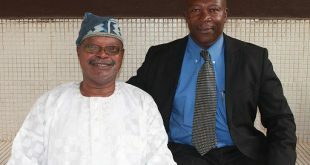 Olufosoye’s father became a Christian. Timothy Olufosoye was married to Joan and they had many children. Bishop Vining, who later became the archbishop of West Africa, noticed Olufosoye as a young teacher and recognized his potential. The bishop saw him through ordination, despite the disapproval of some of the older clergy who had been ordained only after a long apprenticeship. Olufosoye was trained as a catechist and a schoolteacher at St. Andrew’s College, Oyo, between 1940 and 1941. He studied again at Melville Hall, the Anglican ordination training department at St. Andrew’s College, Oyo, from 1945 to 1946 and was ordained a deacon on December 15, 1946. A year later, he was ordained into the priesthood by Archbishop L. G. Vining at Christ Church Cathedral, Lagos, on December 21, 1947. Olufosoye served his early priesthood in Lagos and in Ondo from 1952 to 1956, then rose from the post of canon residentiary (1955 to 1959) to become the first provost of the cathedral of Ondo diocese in 1959 until his elevation to the episcopate on October 10, 1965. He was consecrated the first African bishop of Gambia and the Rio Pongas  in 1965. In 1971 Olufosoye transferred to Ibadan, one of the most populous areas within the Nigerian dioceses. In 1979, when the Anglican dioceses in Nigeria became an autonomous province within the Anglican Communion worldwide, Olufosoye was elected the first archbishop. As the first archbishop, he inherited sixteen dioceses-a number he raised to twenty-six in the nine years of his episcopate. He consecrated fourteen bishops and instituted an endowment fund for the young province. Among his fellow bishops, he was regarded as a true senior brother: an amiable primus inter pares, meaning “first among equals.” He retired from active church service in 1988 after serving for fifty-four years. He died in 1992. 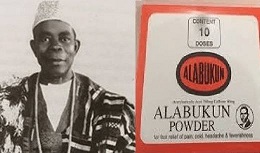 This article, received in 2006, was researched and written by James D. Adewale, at the University of Ibadan, Nigeria, under the supervision of Rev. Dr. Deji Ayegboyin, DACB liaison coordinator. Timothy Omotayo Olufosoye (born c. 1907/1912 – 30 October 1992) was the first Primate of the Church of Nigeria He was married and had several children. The grandson of a tribal Chief, his father was the first Christian of his region. His birthdate wasn’t recorded and he is believed to have been born between 1907 and 1912. Olufosoye was trained as a catechist and schoolteacher at St. Andrew’s College, Oyo, from 1940 to 1941. He had his religious studies at Melville Hall, in Oyo, from 1945 to 1946, being ordained a deacon on December 15, 1946 and a priest at Christ Church Cathedral, Lagos, on December 21, 1947. He first served as a priest in Lagos and Ondo from 1952 to 1956, being canon residentiary, from 1955 to 1959, and the first provost of the Cathedral of Ondo, from 1959 to 1965. He was consecrated the first African bishop of the Diocese of Gambia and the Rio Pongas on October 10, 1965. He became bishop of the diocese of Ibadan in Nigeria in 1971. With the creation of the Church of Nigeria as an autonomous province within the Anglican Communion he was elected his first Archbishop, on 24 February 1979, a position he held until his retirement on December 1986. During his tenure the number of dioceses of his province increased from 16 to 27. 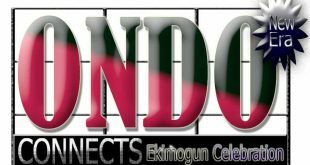 The birth of Province of Church of Nigeria, Anglican Communion precisely on the feast of St. Mathias, 24th February, 1979 brought joy and celebration within the Communion. It was formerly under the Province of West Africa. At the inception, the first Archbishop and Primate was, Most Rev. 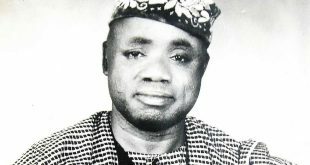 Timothy Omotayo Olufosoye 1979-1989. As a foundational Primate he did his best to provide the required leadership a young province needed and her teething problems he sincerely grappled with. 1. An early name for the diocese of Gambia and Guinea. The Times newspaper, published on Friday, December 18, 1992. Presidential address delivered to the 2nd session of the first synod of Osun Anglican diocese held at All Saints’ Cathedral Church, Osogbo, on Friday, April 22, 1988, by the Rt. Rev. S. O. Fagbemi.